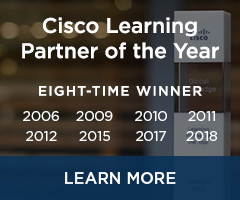 The Cisco collaboration curriculum provides the knowledge required to design, configure and engineer collaboration solutions using the latest Cisco collaboration products and technologies. It is aligned closely with the specific tasks expected of today's in-demand collaboration professionals, and it prepares IT professionals for work in small and medium-sized businesses, as well as enterprise collaboration environments. 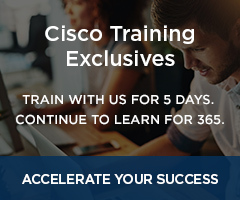 The courses listed below enable you to learn specific Cisco collaboration technologies or prepare you to earn your CCNA Collaboration, CCNP Collaboration and CCIE Collaboration certifications. 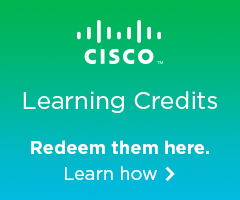 View the complete Cisco Collaboration curriculum. 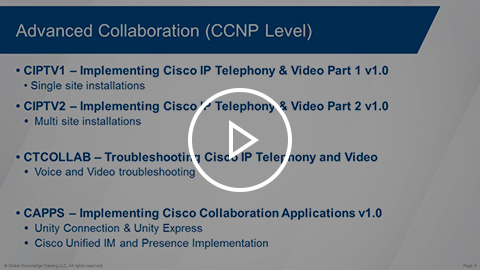 This overview will cover the courses needed to prepare for the CCNA Collaboration and CCNP Collaboration certifications.